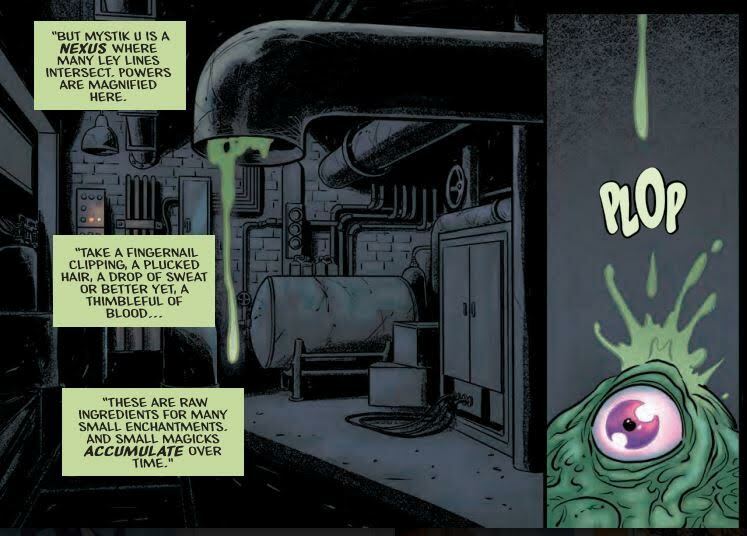 DC Universe - Re: Mystik U #1: PLOP! Subj: Re: Mystik U #1: PLOP! Reply Subj: Re: Mystik U #1: PLOP! The reason for posting in lieu of an orginal review -and on top of asking your retcon opinion- is my surprise that it appears that the character PLOP is now added to the mainstream DCU! That means my one issue of PLOP! from the 70's (can't recall # OTTOMH) might go up in value! Yay. 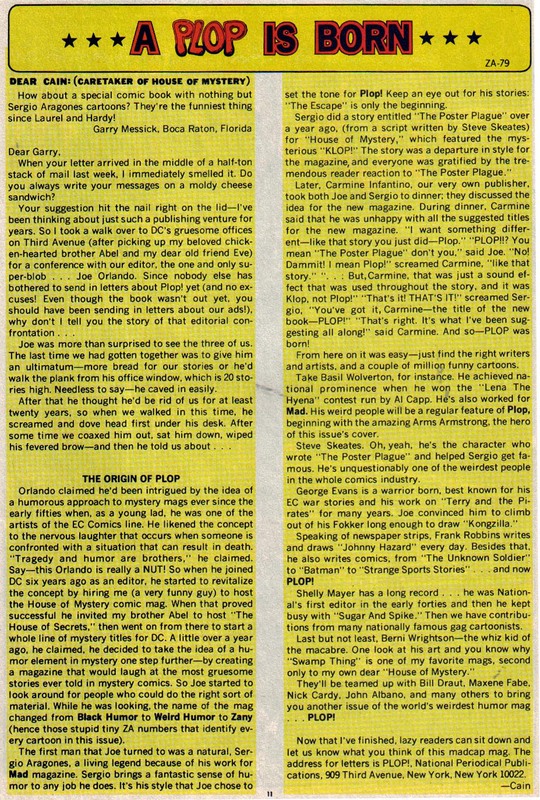 I'm a little confused, as Plop was only a title (a great title which ought to be collected), but was never a character. Okay, in many of the stories it was also a sound effect.